Gum disease is a common oral problem that develops from the buildup of plaque, where harmful bacteria reside. Bacteria in plaque causes infection of the gums making them swell, easy to bleed when you brush, and appear red and swollen. This is the first stage of gum disease that is more commonly known as gingivitis. Gingivitis is often painless as it develops, which makes it unnoticeable at its onset. When severe, this gum disease is called periodontitis, an infection in the gums where bacteria corrode or destroys the bone structures that support teeth, giving way to tooth loss. At this stage, a patient may notice swelling in the gums as well as bleeding, sores and, sometimes, discharge. The patient most likely suffers from bad breath and pain in the gums and teeth. The causes of gum disease may well include poor oral hygiene, smoking, excessive alcohol intake, and nutrition deficiency or not eating enough of the good foods that are vital for oral health. Our body needs adequate amounts of nutrients to fight infection, such as gum diseases. To strengthen our immune system, our diet should include plenty of antioxidants such as vitamin C and flavonoids which are both available found in fruits and vegetables. One’s diet should also include other essential nutrients that are particularly helpful in fighting gum disease and strengthening teeth and bones, such as calcium. Some types of food affect and support the growth of bacteria and this fact shows how nutrition and gum disease is related. Foods that are rich in sugar and starch and sticky foods are those that contribute to bacteria buildup, and thus help develop gum disease. • Go for whole foods, unprocessed and unrefined foods that offer many nutrients instead of the processed or refined kind. • Limit your sugar consumption by limiting snacks that include candies, pastries, cakes, soft drinks and sweetened fruit juices. • Always include fiber in your diet, such as whole grain bread and cereals, broccoli, peas, and fruits like pears and oranges. • Get enough supply of vitamin C, flavonoids, vitamin A, vitamin E, vitamin D, vitamin B-complex, Co-enzyme Q10, calcium, potassium, selenium, magnesium, zinc, iron and phosphorus. Remember, to prevent gum disease effectively, proper nutrition should go hand in hand with proper dental care. 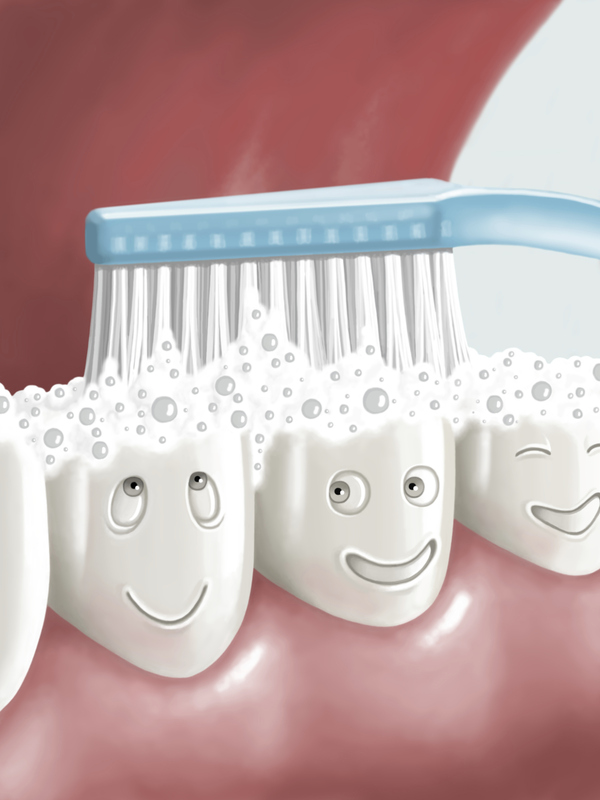 Brush your teeth at the least two times every day, rinse your mouth fully with water or a good mouthwash every after meals, floss your teeth once a day, and go to regular checkups with your dentist. The combination of proper nutrition and gum disease treatment is important. While proper nutrition does not actually treat gum disease, it has been proven to significantly help in speeding up the process of healing and preventing recurrences, leading to healthy teeth and confident smiles.